Keep hands toasty and warm! 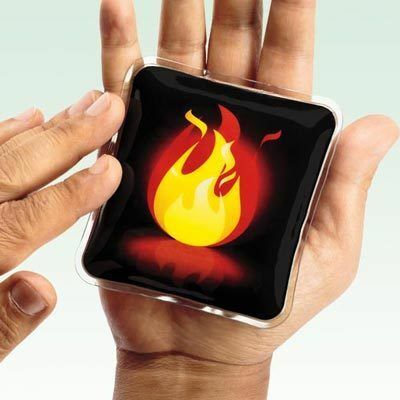 Unlike disposables, this innovative design allows this hand warmer to be used over and over again and recharged simply by submerging in boiling water. Great for any outdoor activity. 3¾" sq.